More than 50 years after it was first published, The Concept of Law remains the most important work of legal philosophy in the English-speaking world. In this volume, written for both students and specialists, 13 leading scholars look afresh at Hart's great book. 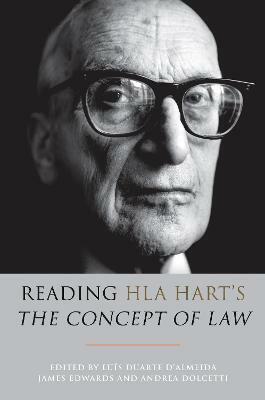 Unique in format, the volume proceeds sequentially through all the main ideas in The Concept of Law: each contributor addresses a single chapter of Hart's book, critically discussing its arguments in light of subsequent developments in the field. Four concluding essays assess the continued relevance for jurisprudence of the 'persistent questions' identified by Hart at the beginning of The Concept of Law. The collection also includes Hart's 'Answers to Eight Questions', written in 1988 and never before published in English. Contributors include Timothy Endicott, Richard HS Tur, Pavlos Eleftheriadis, John Gardner, Grant Lamond, Nicos Stavropoulos, Leslie Green, John Tasioulas, Jeremy Waldron, John Finnis, Frederick Schauer, Pierluigi Chiassoni and Nicola Lacey.